Citizens Memorial Hospital (CMH) will host a free Lunch and Learn seminar on carpal tunnel syndrome on Friday, March 2 from 11:30 a.m. to 1 p.m. in the CMH Community Rooms, located at 1500 N. Oakland in Bolivar. The Lunch and Learn will be presented by CMH orthopedic surgeon, Jonathan Gray, D.O. 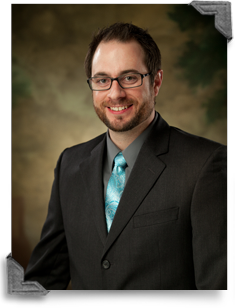 Dr. Gray is board certified by the American Osteopathic Board of Orthopedic Surgery. He joined the CMH medical staff in August 2014 and is in practice at Parkview Orthopedic Clinic located in Bolivar. His practice includes total hip replacement including the direct anterior approach, total knee replacement, fracture care, knee arthroscopy, nerve decompression, rotator cuff repair, and ACL reconstruction and other orthopedic procedures. Dr. Gray attended medical school at the Kansas City University of Medicine and Biosciences. He completed his internship and osteopathic orthopedic surgery residency at Oklahoma State University-Saint Anthony’s Hospital. Dr. Gray has additional training in the direct anterior approach to total hip replacement, an alternative to conventional hip replacement surgery. A light lunch will be served and reservations are requested. For more information or to register visit http://conta.cc/2FNnb9Z or call the CMH Information Center at 417-328-6010 or 888-328-6010.